This past week was a fun and busy week. Tuesday was my birthday and my parents gave me a new Fitbit, I have been trying it out and so far I absolutely love it! It's ton's of fun to try to outdo the previous day's calorie burn, mileage and steps taken:) Plus I love being able to track everything I eat, all workouts in one easy place. After I've tried it out a bit longer, I'll do a review write up on it! As for my weight loss, I am holding steady at the same weight loss I announced last week at 9.5 pounds. I'm not disappointed that I didn't lose more weight this past week. Because let's be honest, I cheated quite a bit on my Birthday:) But it's all good, because it was exactly what I needed to maintain to win my Dietbet competition I have been participating in. Aside from getting my money back, I won an extra $10 and winning money even a little is always good news! I've already signed up for a 2nd Dietbet to keep myself motivated! I want to thank everyone who participated in the January Giveaway hop! It was a lot of fun, and seemed to be quite successful! I am not running one in February, however I am going to be hosting one in March, sign up has begun now and will run until March 10th. 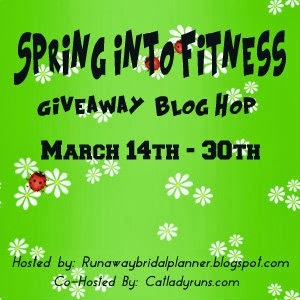 The Spring into Fitness Giveaway Blog Hop will run March 14th through 30th. Catladyruns will be co-hosting this fun giveaway with me! I have taken a lot of feedback from the last two hops into consideration, and we are going to run this particular Giveaway Blog Hop slightly different than before. * The posts instead of going live at Midnight, will this time go live 8 AM EST. * There is also no set $ amount for this giveaway, you can choose that and giveaway anything you'd like. However, since this is a fitness related giveaway, your blogs giveaway item(s) should be health or fitness related. The rest of the rules are all listed HERE. Before signing up, make sure to first mark it on your calendar and second make sure you read and can agree to all of the rules! If you're interested its a lot of fun and we'd love to have you! 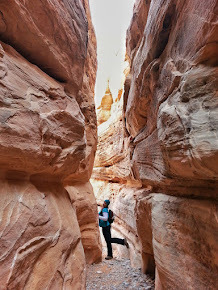 Its a great way to both find awesome new blogs and at the same time acquire new blog followers! 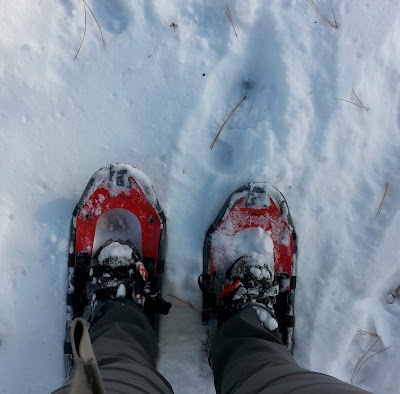 For those of you who follow my blog, you know that with this work injury I am going through I haven't been able to bring cardio into my life since last summer. How sad is that huh! 3 Day's this week I did 10 Minute Ab workouts. 2 Day's this week I did 20 Minute Upper body workouts. 1 Day this week I did 50 Minutes of Upper and Lower body Cardio Circuit Training! And last, my most awesome news I have yet. On Friday, I was home alone and I.., Well I guess you could call it trotted up and down the stairs at my house before I realized what I was doing. By the time I did realize it, it was already done and I literally stood still and it took like 10 seconds before it finally hit me, I just did something that a few weeks ago caused pain, and I was in no pain! So being the idiot person I am, I went across to one side of my house, and I looked across the living room and down the hall. I couldn't help myself, I had this dumb idea that I was going to run across the living room and down the hall. Which is basically a total of 30 feet. I was scared and hesitant at first, but I went for it. When I got to the end of the hall, I did a quick exam to see if I felt any pain and nope nothing. So I turned around and ran back, again with no pain! Okay, you may not think this is much, 60 feet is hardly impressive by any means. But for those who don't know, I went from about a year ago being in the best shape of my life, with the ability to run marathons pretty much on any given day I chose, to a work injury that little by little took me entirely away from running. I haven't been able to jump or run a single step since earlier last summer. The next day, I was fine until about 2 hours into work and then I had a little pain start up. I had a hard time telling if it was from the little 60 foot run I wasn't ready for, or if it was just from the job itself??? Today, despite a terrible flu bug I have apparently caught, I have noticed the pain is subsiding, YAY! When will I try running again? Probably not for a little while, I think I will continue to work on building up from being able to walk 1 continuous mile to more first. 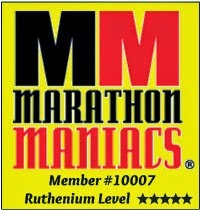 It's going to be an exceptionally slow process of getting back into running, even the Dr. told me that! Plus the original injury itself hasn't healed 100% just yet, so I'm not really going to push things too much until the body is ready. The other day was just one of those moments that something came over me and I couldn't help myself! 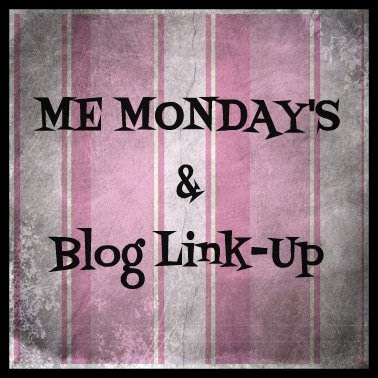 Anyhow, today is ME MONDAY'S & LINK-UP, so share the news of your week with me. Your highlights, low lights... All thoughts are welcome! Additionally, if you have a post about your life you'd like to link up, you can link up below. I look forward to stopping by any bloggers who decide to link up with me this week!! !